Blending wiry, dark post-punk with unpredictable art-rock, Drahla have established themselves as a formidable and distinctive band across their two sold out 7” singles and the 2017 Third Article EP. Formed in late 2015, Drahla quickly found their identity in Yorkshire’s fertile music scene with their minimal yet robust bass-heavy sound. Their reputation as a fervent live act is ever-growing, with the band being asked to share stages with the likes of Parquet Courts, METZ, Ought, Buzzcocks, Hookworms, The Cribs and more. Their Third Article EP, produced by Hookworms’ MJ, was released at the end of 2017 on the band’s own Blank Ad label followed by their first European tour supporting Metz. Third Article finds the band at their most captivating, with track ‘Silk Spirit’ exhibiting Luciel Brown’s mesmerizing spoken drawl, paired with the steady unrelenting wall of sound from Robb Riggs on bass, and Mike Ainsley on drums. After watching the band’s self-made video for ‘Silk Spirit’, Mike Sniper, founder of Brooklyn independent label Captured Tracks, was immediately hooked. The band signed to Captured Tracks shortly after. 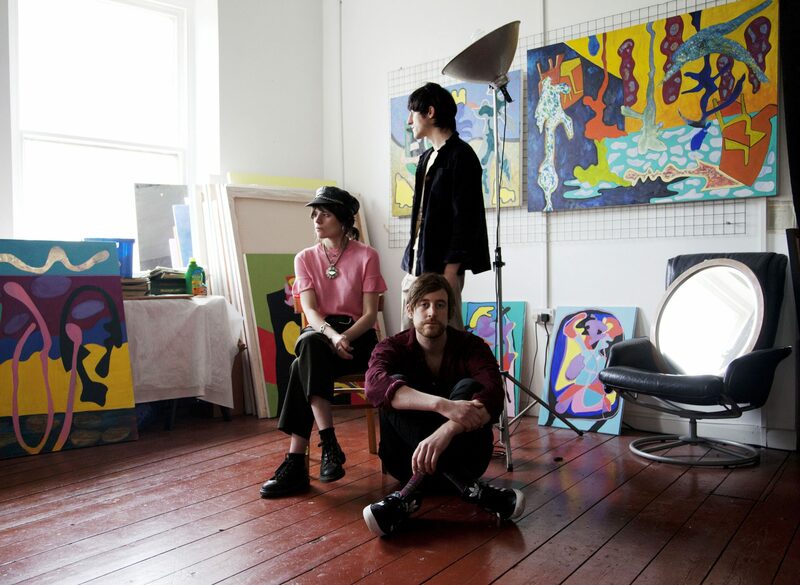 Now, having just completed a tour supporting Ought, and with a slew of May and June dates lined up, including an invitation to play Robert Smith’s Meltdown Festival, the band are poised to take their mark as one of the most visceral and exciting new bands on the scene. Drahla – Singles & Third Article EP are out now via Captured Tracks / Remote Control.